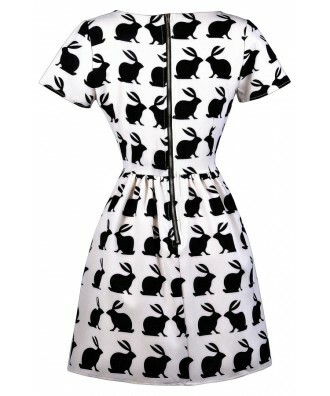 Show respect for your favorite 4-legged friends by donning this adorable bunny silhouette printed dress. This is a cute and whimsical look that is classy at the same time. The Good Hare day Bunny Silhouette Dress is fully lined. It is made of a unique fabric with an ivory background and a repeating silhouette print of rabbits throughout. 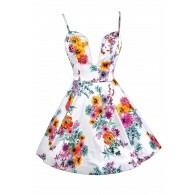 It has a rounded neckline, short sleeves, and an A-line cut. An exposed back zipper completes this dress. The Good Hare Day Bunny Silhouette Dress is perfect for any party--we think this would be an awesome look for an Alice In Wonderland theme party or event as well! Pair it with black pumps or heels--or wear black tights with it on colder evenings. Another option is to wrap a black fabric sash around the waist for contrast. Details: Fully lined. Exposed back zipper. 100% polyester. Hand wash cold. Do not bleach. Hang or flat dry. Low iron. Small measurements: Length from top of shoulder to hemline: 32". Bust: 34". 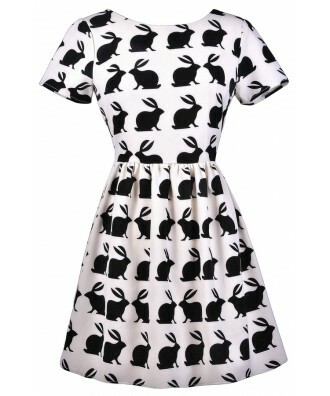 You have added Good Hare Day Bunny Silhouette Dress into Wishlist. 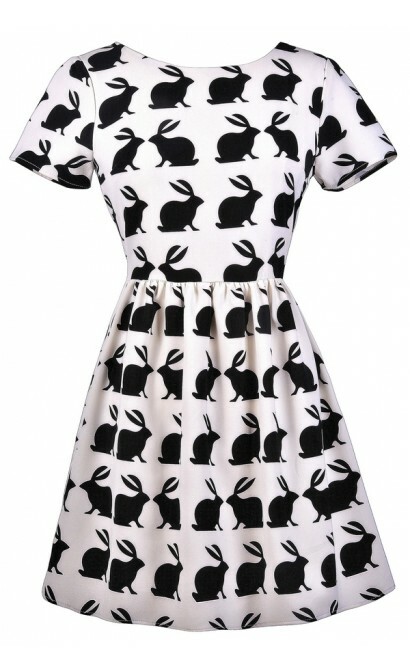 You have added Good Hare Day Bunny Silhouette Dress for Stock Notification. 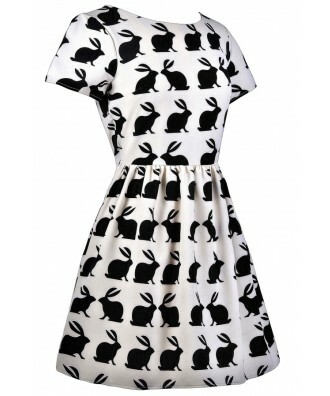 You have set Good Hare Day Bunny Silhouette Dress as a loved product. 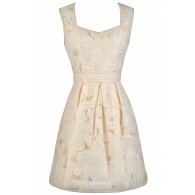 You have removed Good Hare Day Bunny Silhouette Dress as a loved product.